« Wonder Wednesday: (Wonderland) Coaster Edition! 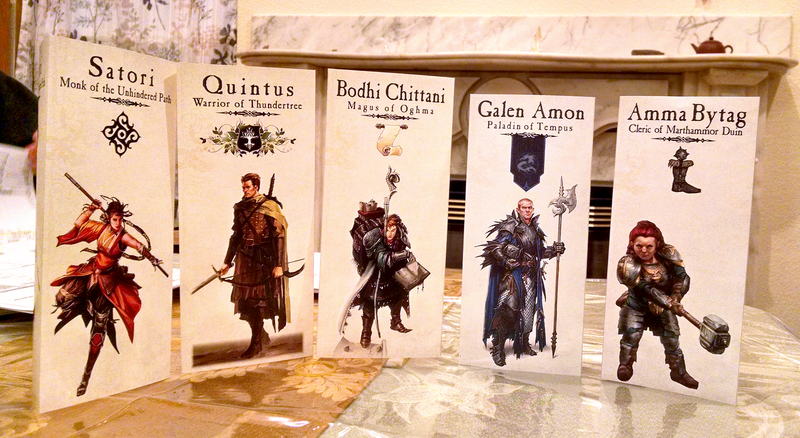 As I mentioned when introducing my FATE stand-ups, having the character portraits in front of each players is a great way to keep the character fresh in our minds. Each time we interact with each other, the image coupled with the graphic design — with all the information, personality, and world feel they convey — is front and centre to lend it’s evocative assistance. They’re a lot of fun. If you’d like them for your gaming table, I’ve placed a generic InDesign template for downloading here, and two PDFs to use as backgrounds in other programs are available here.